A German education union claimed on Thursday that Turkish diplomats in Germany have been urging students from the diaspora to spy on their teachers and report any critical comments they make against Turkish President Recep Tayyip Erdoğan. 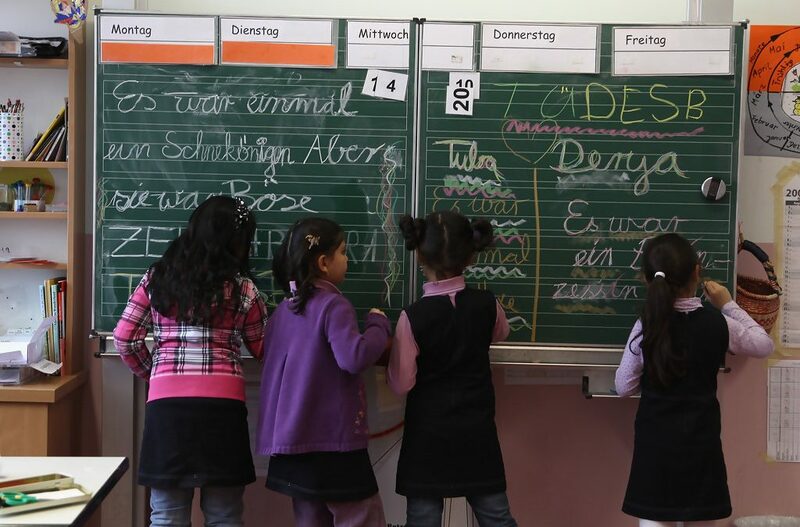 According to a report in Westdeutsche Allgemeine Zeitung (WAZ) on Thursday, Education and Science Labor Union’s (GEW) spokesperson Sebastian Krebs said the Turkish consulate in North Rhine-Westphalia (NRW) told parents and teachers at “information events” in Düsseldorf, Essen, Cologne und Münster in January that they should spy on classes at German schools against Erdoğan critics. “We have learned from various sources that participants have been encouraged to report to the consul general any criticism of the Turkish government that is observed in schools in North Rhine-Westphalia,” he said. The union represents nearly 280,000 education workers in Germany, most of them teachers in state schools. Ali Sak, chairman of the Ruhr Turkish Parents Association, confirmed to WAZ that meetings took place between Turkish consular officials and selected teachers and Muslim clerics. However, he denied that pupils were asked to spy on teachers. This is not the first time that Turkey has been accused of spying on the Turkish population in Germany. Earlier in February, German police raided the homes of four Turkish Muslim preachers linked with the German-based Turkish-Islamic Union for Religious Affairs (DİTİB) on the suspicion that they spied for Erdoğan’s government on followers of the Gülen movement, the inspiration of which — US-based Turkish scholar Fethullah Gülen — Turkey accuses of being behind a failed coup attempt last July. On Wednesday, DİTİB coordinator Murat Kayman announced his resignation as the spying imam issue has led to tensions between Turkey and Germany. The imams are accused of illegally profiling Turkish people in Germany, particularly sympathizers of the Gülen movement. The Federal Public Prosecutor’s Office (GBA) said in a statement that the imams had acted on an order issued on Sept. 20 of last year by the directorate to profile Gülen movement sympathizers. Earlier, DİTİB officials admitted to profiling Gülen movement sympathizers based on instructions from Turkey’s top religious authority, the Directorate of Religious Affairs. Last month the GBA launched an investigation into Turkish intelligence operations on German soil after a lawmaker filed a criminal complaint. Austria is also investigating whether Turkey has been operating an informer network targeting Gülen followers on its soil, via its embassy in Vienna. Turkey has accused Germany of harboring militants from the Kurdistan Workers’ Party (PKK) and far-leftists of the Revolutionary People’s Liberation Party/Front (DHKP/C), which has carried out attacks in Turkey. German officials reject the accusation. While the Turkish prime minister addressed the Turkish diaspora in the NRW town of Oberhausen on Saturday, calling on them to support Erdoğan in an upcoming referendum in April to switch Turkey to an executive presidency under his leadership, Erdoğan is expected to hold rallies in Germany in March. Nearly 1.4 million Turkish citizens living in Germany are eligible to vote in the referendum. This article originally appeared in Turkish Minute on Feb. 24.